On July 20, the Chinese version of Richard III by National Theatre of China had its premiere at Shakespeare's Globe Theatre. 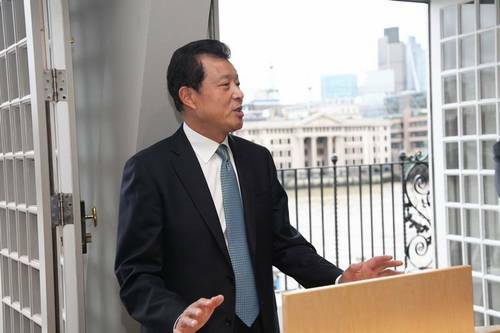 Chinese Ambassador to the UK Liu Xiaoming and Madame Hu Pinghua attended the premiere and reception. They were joined by Minister of State for Culture and the Digital Economy of the UK Ed Vaizey, Chief Executive of Shakespeare's Globe Neil Constable, and representatives of the British Council and other organisations. Ambassador Liu Xiaoming delivered a speech at the reception and extended a warm welcome to the artists from China. He noted, stories about Richard III, the 15th century king, became a recent sensation in the UK. Throughout there has been much talk about his life and achievements. This coincidence and the interest it has generated have certainly raised the expectations for the Chinese National Theatre's rendition of Richard III. The Chinese version of Richard III is imbued with Chinese appreciation of the original work. The adaptation by Director Wang Xiaoying of the National Theatre of China incorporates elements of traditional Chinese culture. The performance is in Chinese and intends to convey the Chinese understanding of Shakespeare and his play. This is without doubt a great feat of innovation resulting from China-UK cultural exchanges. 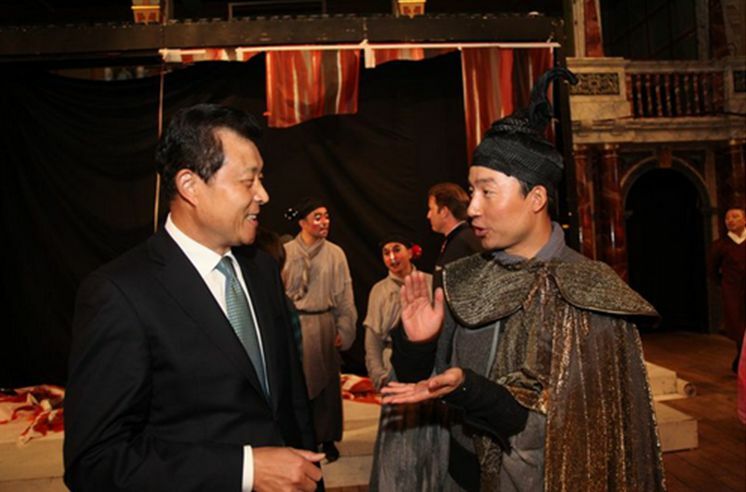 It is an excellent display of how the Chinese and British culture work together seamlessly in one play. It is the best birthday gift from Chinese artists for next year's 400th anniversary of the great playwright. Today's premiere is the very first and significant event of the China Season in the 2015 China-UK Year of Cultural Exchange. Starting with the staging of Richard III, a series of events will soon arrive in Britain to drive forward this China Season. These events of the China Season will surely bring China-UK cultural exchange and cooperation to a new and higher level. 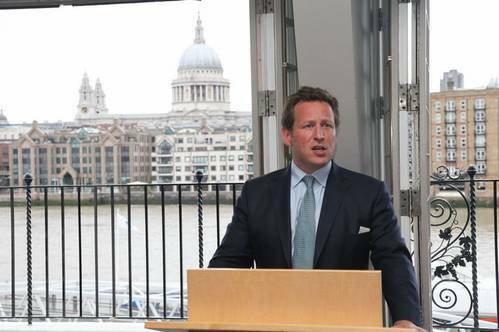 Minister of State for Culture and the Digital Economy of the UK Ed Vaizey noted that Richard III is a highlight of China-UK Year of Cultural Exchange. China has a long history and splendid culture. During the China Season, both traditional and modern Chinese culture will be presented to the British public. China-UK Year of Cultural Exchange provides a platform for mutual learning and exciting cooperation in culture between China and the UK. 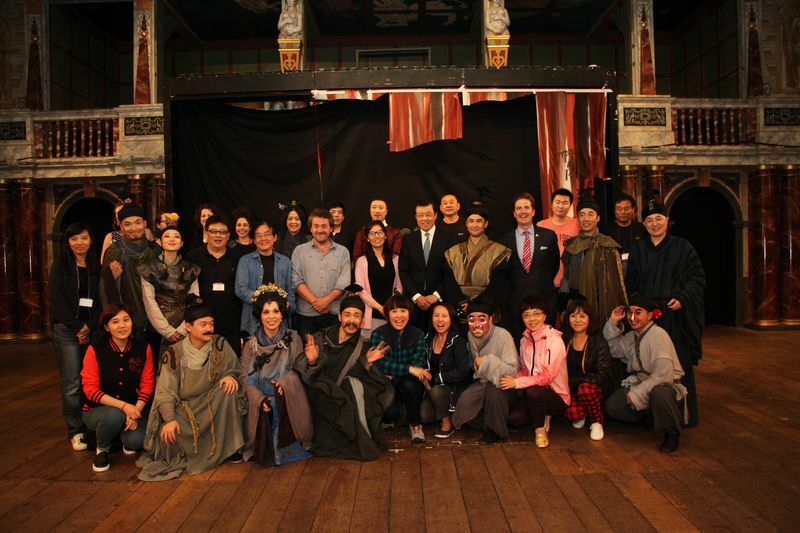 Chief Executive of Shakespeare's Globe Neil Constable expressed his satisfaction with the cooperation between Shakespeare's Globe and Chinese cultural organizations and hoped to see stronger cooperation and new progress in the cooperation with China. The Shakespeare's Globe was packed on the night of the premiere, with many people buying yard tickets to watch the play. The excellent performance of the Chinese artists was warmly received by the audience. The director and actors bowing their thanks at the end of the show won continuous thunderous applause. After the performance, Ambassador Liu and Madame Hu visited the Chinese artists, congratulated them on their excellent performance and thanked them for their contribution to China-UK cultural exchange. The show will be on for three more dyas at the Shakespeare's Globe.